I Zombie surprised me. 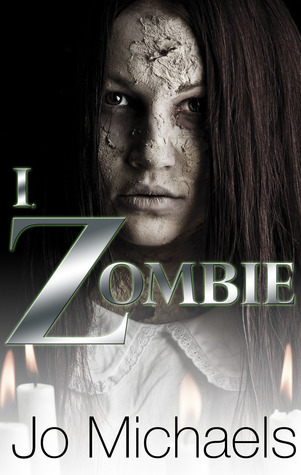 From my experience, zombie books are typically filled with thrills, chills and LOTS of gore, but Jo Michaels offers a different experience. First of all, there’s more emphasis on the storyline as opposed to violence and gory details. Don’t get me wrong, there are some cringe-worthy moments, but nothing beyond PG-13. I should also mention that a specific cause for the outbreak is identified, which is an aspect that is often underdeveloped in zombie books. Second, the zombie/human dynamic in this story is very unique; the infected are actually harmless while a large majority of the uninfected are hellbent on destroying anyone with zombie-like symptoms. Seeing this role reversal actually made me think of discrimination in the real world, which is something I’ve never reflected on while reading a zombie novel! If you are a fan of YA fiction and zombie novels and are interested in checking out something that strays from the expected norm, I recommend this book. OMG! How amazing is this review?! Thank you SOOOOO much! I’m glad my book made you stop and think. Can you tell human nature fascinates me? 🙂 You totally rock, and I’m thrilled you enjoyed the read.